From Star Wars: Episode V - The Empire Strikes Back, comes this Star Wars Empire Strikes Back TIE Fighter Hot Wheels Elite Die-Cast Metal Vehicle. The TIE Fighter measures approximately 6-inches long and features opening hatch, molded Imperial pilot, and attachable landing gear. 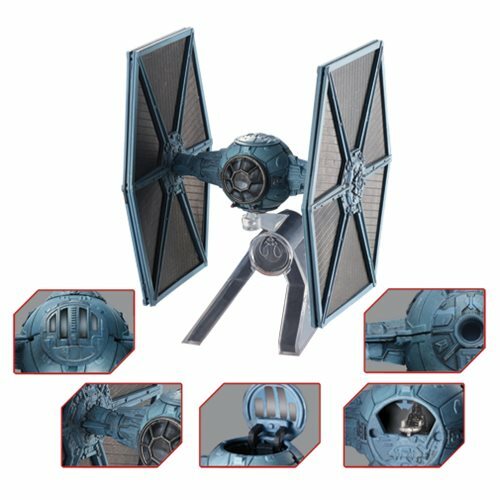 The TIE Fighter includes a display stand and is packaged in a polyfoam closed black box. Ages 13 and up.